Logan Paul is 23 years old from Westlake, Ohio and the older brother of fellow YouTube star Jake Paul. Logan started posting videos on YouTube when he was 10 years old on his channel titled Zoosh. While he was attending college he started getting a following on Vine so he moved out to Los Angeles to pursue being a social media entertainer full-time. By 2014 he started gaining steam in his career and had over 3 million followers across his social media accounts. He also started a YouTube channel just for vlogs and by 2018 he had almost 16 million followers. Logan also branched out to acting in television and movies. He appeared on Law & Order: Special Victims Unit and the FOX series Weird Loners. He also starred in the YouTube Red movie The Thinning. Logan has had some controversies surrounding his career, the biggest being he showed a man hanging from a tree when he was vlogging in Japan at The Suicide Forest. He also gained world wide attention when he challenged and boxed another YouTuber named KSI. The fight ended in a draw. PewDiePie is a Swedish YouTuber known for his comedic commentary videos about video games and internet culture. He started his YouTube channel in 2010 while he was still in college. He decided to dropout of college to pursue his online career full-time and in 2012 he got his first million subscribers. In August of 2013, his channel had the most subscribers on Youtube and by March in 2019 he has 89 million subscribers so far. In 2016 Time magazine named him one of The World’s 100 Most Influential People. Sean William McLoughlin is a 29 year old Irish YouTube personality that makes vlogs and plays video games while commenting on them. Sean joined YouTube in 2007 but didn’t take it seriously until 2012. PewDiePie mentioned his channel in one of his videos in 2013, causing Sean to get up to 15,000 subscribers very quickly. In 2014 his channel got up to 800,000 subscribers and in 2015 his channel had 3.2 million subscribers. In January 2016 Sean signed onto PewDiePie’s network Revelmode. Sean co-starred in the YouTube Red show Scare PewDiePie in it’s second season but unfortunately the show was canceled before it premiered. 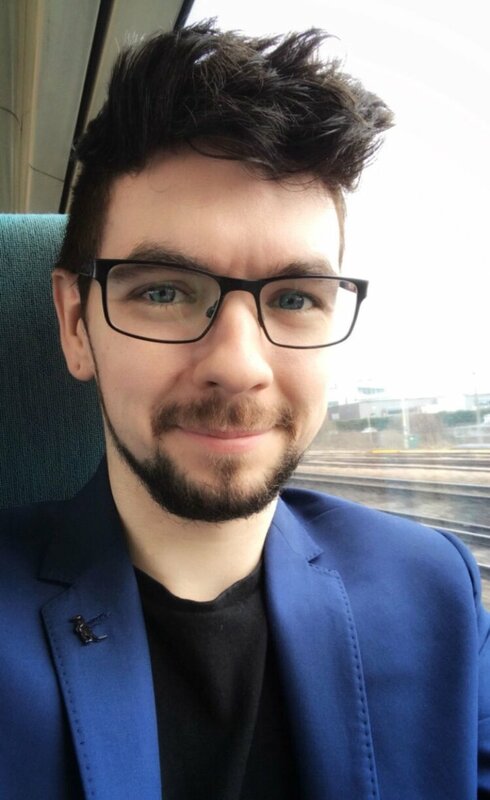 As of current, Jacksepticeye has over 21 million subscribers on YouTube. Evan Fong, the 26 year old Canadian goes by the YouTube name Vanoss Gaming. He is known for his montage-style videos of video game commentary. He started posting content in 2011 and by hard work and collaborations with other creators by 2015 his channel had 11 million subscribers. He had reached the top 25 most subscribed to YouTube channels. Also in 2015, Fong signed with the multi-channel network Jetpak and became the creative director for the video game Dead Realm. In 2016, Fong worked on the YouTube Red animated series Paranormal Action Squad as a voice actor. Fong also pursues a career in music under the producer name Rynx. Vanoss Gaming has more than 24 million subscribers right now. Known as the online name Markiplier, Mark Edward Fischbach is 29 years old originally from Honolulu, Hawaii. Shortly after his birth Mark’s family moved to Cincinnati, Ohio. There he was raised and went to school at the University of Cincinnati as a biomedical engineering major. However, he decided to dropout to become a full-time YouTuber. Mark specializes in the “Let’s play” genre, where the YouTuber streams themselves playing and commenting on video games in real time. Mark posted his first content in 2012, and by 2014 he was a major player in the genre. He moved out to Los Angeles and by October 2015 his channel had 10 million subscribers. Mark is also known for putting on charity streams where he plays video games and donates all the revenue to different causes he is passionate in. As of March 2019, his channel has over 23 million subscribers. Jeffree Star is a 33 year old internet celebrity, singer, song writer, model, makeup artist and entrepreneur. Jeffree got his start by promoting his music through MySpace, and was once the most popular person on the website. In 2009, Jeffree released his first and only record, which went to number 7 on the US Billboard Top Electronic Albums chart. The album featured a song by Nicki Minaj. In 2013 Jeffree left the music business and started a makeup company. To promote his makeup he started using YouTube to give makeup tutorials. His channel has over 13 million subscribers to date. Daniel Robert Middleton is a 27 year old English YouTuber, graphic novel author and professional gamer. In 2010 Dan launched his first YouTube channel called PokemanDanLv45, which was dedicated to just covering Pokemon. In 2012, Dan switched his interest to the very popular video game Minecraft and changed his name to TheDiamondMinecart//DanTDM. Then in 2016 he shorted it to just DanTDM. His channel did very well. By 2014, Business Insider estimated his annual income between $213,000 to $2.15 million a year. In 2015 he had one of the most popular gaming channels by viewership on YouTube. In 2016, he released a graphic novel featuring characters on his channel called Trayaurus and the Enchanted Crystal. For 11 weeks it was on The New York Best Seller’s list for hardcover graphic novels in Japan. He holds 2 Guinness World records for “Most goals scored in the game Rocket League for a team of 2” and “Most views for a dedicated Minecraft channel”. In 2017 he starred in the YouTube Red web series called DanTDM Creates a Big Scene. It ran for six episodes. His YouTube channel has more than 21 million subscribers. Dude Perfect is a sports entertainment YouTube channel from Frisco, Texas. The group consists of five guys; Garrett Hilbert, Cody Jones, Tyler Toney and twin brothers Cory and Coby Cotton. They met playing Highschool basketball together and were roommates in college at Texas A&M University. Their content consists of them performing near impossible sports trick shots, stunts and competitions. Their endeavors have earned them many Guinness World Records. They have worked with many sports stars and celebrities like Aaron Rogers, Pete Carrol, Russel Wilson, Johnny Manziel Paul Rudd and Tim McGraw. It all started when they recorded themselves in one of their backyards doing trick shots. They uploaded the video and it got 200,000 views within it’s first week. DudePerfect launched a mobile game in 2011, and in 2015 they starred in their own TV show on the network CMT. As of now, their YouTube Channel has over 40 million subscribers putting them at the 8th most subscribed channel on the website. Jake Paul is a 22 year old Internet personality and actor from Ohio. His career started in 2013 with him posting videos on Vine. When the app shutdown he had over 5 million followers. He then moved to YouTube where he became very popular with his vlog channel. The recognition landed him a role in a Disney Channel show called Bizaardvark. He left the show in 2017 in the middle of shooting the second season. Also in 2017 Jake Paul started Team 10 which is a creative management and marketing company around teen entertainment. He released the song “It’s Everyday Bro” which got 70 million views in it’s first month but became the 3rd most disliked video on the platform. He is the younger brother of fellow YouTube vlogger Logan Paul. As of now, his YouTube channel has more than 18 million subscribers. Ryan ToysReview is a children’s YouTube channel that reviews toys. It stars the 7 year old Ryan, his mother, father and twin sisters. It is a cross between a vlog and un-boxing channel. Ryan began making YouTube videos in 2015 after watching similar content like EvanTubeHD. Once the channel became popular Ryan’s mother quit her job as a chemistry teacher to help her son full time. In 2017, Ryan’s parents signed a deal with the marketing and merchandise company pocket.watch. In 2018 they made an app for Ryan ToysReview called Tag. In 2019, they produced a television series for little kids called Ryan’s Mystery Playdate. Ryan’s channel is so influential it can affect toy sales. Ryan even has his own line of toys available at Walmart, Target and Amazon. He is currently the highest paid YouTuber. His channel has more than 18 million subscribers.